"What would you do if you knew you couldn't be seen?" Hollow Man is a science film that came out in the year 2000. It is about a team of biological scientists who are conducting various experiments to make animals invisible. The team is headed by a scientist named Sebastian Cane. The scientists are working with the Pentagon to conduct this research. Cane decides to take the next step to see if humans can become invisible. Unfortunately the experiment goes poorly and Cane has a complete mental breakdown. Since he can’t regain visibility he begins to murder all of the scientists and lab assistants. However he is later killed in the end. In Washington DC a group of scientists led by molecular biologist Dr. Sebastian Cane are using breakthrough methods to make animals invisible including a gorilla. Since these experiments have gone very well they are then asked by the Pentagon to do more experiments and look for more breakthroughs. After a while Cane decides to take the next step by making humans invisible. The rest of the team disagrees but he volunteers to do this himself as the primary test subject. During the experiment things get very bad as Cane experiences cardiac arrest and the rest of the team desperately tries to revive him. They succeed and he survives as well as becoming invisible. Things appear to be going well and then they decide to make him visible again. Unfortunately he is unable to gain his visibility. Instead of staying at the facility he decides to go home and get outside which defy orders from the rest of the team. Over time the team is desperately looking to find a way to get his visibility back. Unfortunately they are all unsuccessful and therefore he begins to lose his sanity. Cane therefore gets very angry and begins terrorizing the scientific team at the lab. He brutally murders one lab assistant and then murders another one by breaking their neck. In the end he locks up two other members of the team in a frozen chamber. He then looks to blow the place up and escape. However the two members get out of the chamber and confront him. He is killed by having an elevator wire detached and him falling into a pit of fire at the bottom of the facility. 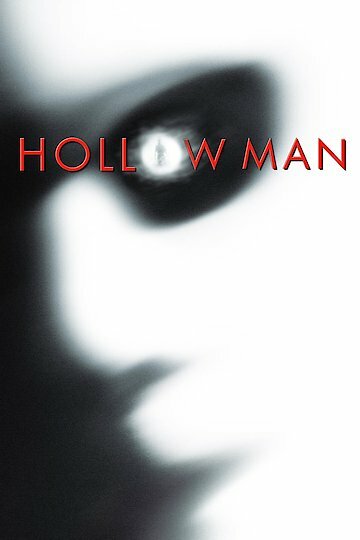 Hollow Man is currently available to watch and stream, download, buy, rent on demand at Amazon Prime, Starz, FlixFling VOD, Amazon, Vudu, Google Play, FandangoNow, iTunes, YouTube VOD online.